In last week's post I mentioned that green is one of my favorite colors to wear during the fall months, whether it's more of an olive shade or a deep forest green. I feel that when I wear fall colors before the season actually begins, it helps my mind to gear up for a new season ahead. I also like to pretend that by wearing said colors it will make the cooler weather come sooner! Fingers crossed :) In addition to shades of green, three other colors that are going to be popular this coming fall are blush, camel, and burgundy. I know that blush is typically viewed as a spring/summer color, but it's actually popping up in a lot of fall collections this year. I typically wear this color year-round anyway, so this is even more reason for me to continue wearing it! Blush is also a great neutral that you can pair back to various colors like grey, winter white and navy. 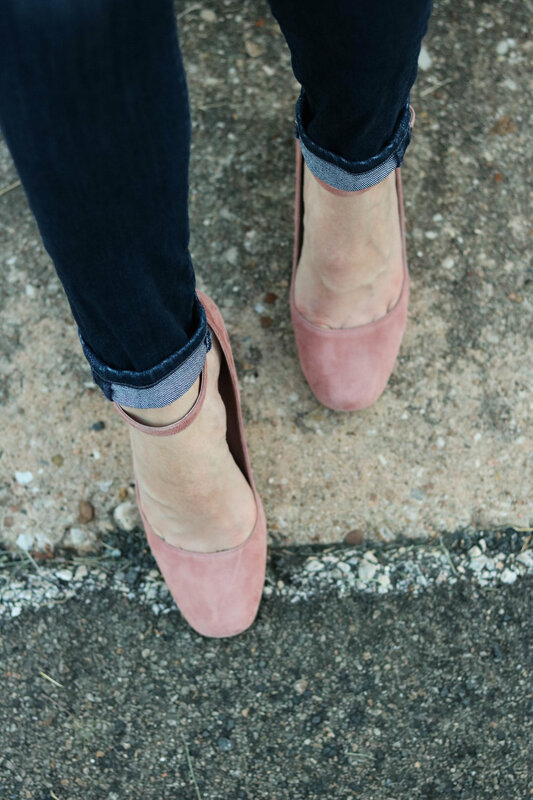 These are just a few blush pieces I'm loving for fall! Camel is a color that always makes me swoon! Something about the richness of this shade and it's versatility to be worn with almost anything really tugs at my heartstrings. That's probably why there's a lack of color in my closet currently because anytime I see something in a lovely camel hue I lose the argument with myself of "needing more color in my life." It's a vicious cycle I'm working on beating! 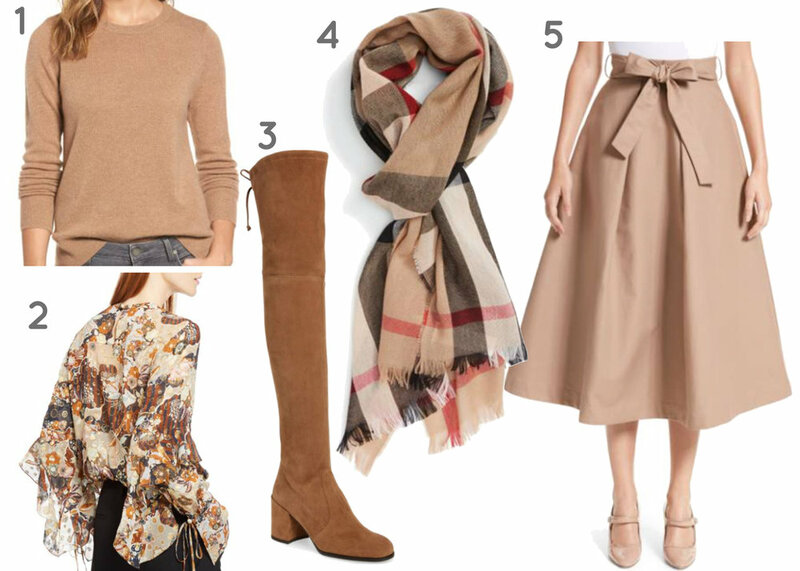 Whether it's a cozy, cashmere sweater or a pair of pants, this is a color you'll want to incorporate this fall--check out my picks below! Burgundy is one of those fall colors that I don't think will ever go away. While we're seeing a lot of brighter red tones in fall collections this year, deeper shades of this hue will continue to be a staple for the cooler months. It's a color that I love to not only wear in apparel, but also for accessories! It could be a shoe, a bag or even a nail color; it's such a cozy color to me that just makes me want to sip on hot cocoa by a warm fire. I've chosen some of my favorites below!